As you grow older, the beauty of your smile slowly fades for various reasons. Your teeth may have become stained, worn down or lost due to dental care neglect or trauma. Having a healthy and dazzling smile can change your life. If you are suffering from the consequences of your dental flaws, then it’s best to make a change. One of the best options that modern dentistry has is oral rehabilitation. This dental treatment refers to the restoration and maintenance of oral function, comfort and health of the patient by restoring the natural teeth and/or replacing missing teeth as well as re-establishing the function of your jaws and gums. By doing a comprehensive examination on your mouth, your dentist will be able to determine the extent of the problem including the procedures that can be performed to solve your smile problems. Teeth – your teeth will be checked for any decay, tooth wear, cracks, root canal issues, short/long teeth and movement of any tooth. Depending on the condition of your teeth, your may need restorative or cosmetic dental procedures such as tooth whitening, veneers, inlays/onlays, dental crowns or implants. Gum tissues – if you have unhealthy gums, your dentist will most likely perform scaling and root planing to treat gum disease. To ensure a sturdy foundation on your new reconstructed teeth, you may require intensive treatments from a periodontist such as periodontal surgery or bone grafting. Temporomandibular joints, jaw muscles and bite – a stable bite is essential to your overall oral health. Before your dentist performs restorative procedures, correcting occlusion (bite) is the first consideration. You may require orthodontics when your dental professional plans for restoration. Neuromuscular dentistry/TMJD treatments correct problems that involve TMJs and the bite. Aesthetics – Oral rehabilitation treatment deals with improving the colour, shape, size and proportion of your teeth and the way they appear in connection to your mouth and face, and these are important factors in this type of dental treatment. When it comes to smile transformations, your dental professionals in Toorak here at Simply Smiles Dental provide the highest standards for procedural outcomes and patient comfort through our latest dental technologies and commendable dental expertise. We have worked on hundreds of cases over the years and have developed beautiful smiles for our clients. You’re just one-step away from having the smile you always wanted. We’ll give you a fully informed idea of all your treatment options, costs and durations. For excellent work on oral rehabilitation, come and see us here at Simply Smiles Dental. We are located in the Toorak Village, in the heart of Toorak and serve patients from Toorak, South Yarra, Prahran, Windsor, Southbank, South Melbourne, Port Melbourne, Malvern, Albert Park, Melbourne CBD, and from all Melbourne metro areas. 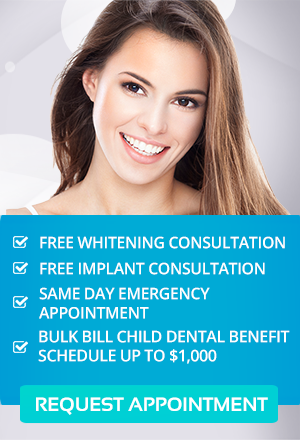 We are Medibank Members Choice Dentist and HCF Members Choice Dentist. Contact us on (03) 9826 2220 or request appointment online. We offer FREE Teeth Whitening and Dental Implant Consultation. Bulk Bill Child Benefit Schedule Up to $1,000.